If pollen wasnt making the nation miserable enough, Allergy UK reveals that eating fruit and veg can unwittingly cause problems for some hay fever sufferers. New consumer research from the national medical charity reveals 40% of hay fever sufferers also react to one or more of nuts, fruit, vegetables or spices. Pollen from trees and plants, especially birch, causes major problems for allergy sufferers in the UK. But the protein found in certain pollens is similar to that found in some foods putting hay fever sufferers at risk from another allergic condition, oral allergy syndrome. Lindsey McManus, Allergy UK explains: 15 years ago oral allergy syndrome was considered unusual but now it is increasingly commonplace. The condition is caused by the proteins in some fruit, nuts, vegetables and spices triggering a cross-reaction in someone with hay fever. When they eat a food that shares similar proteins as the pollen, it can cause an allergic reaction, such as, an itchy mouth, swelling or tingling of lips and tongue. With 15 million Brits suffering from seasonal allergic rhinitis or hay fever, the arrival of spring already signals months of misery. But a quarter of sufferers (24%) didnt even realise that foods could also trigger a reaction. So while, according to the charity, 72% of those with hay fever suffer for more than two months, they could suffer from problems all year round because of a cross reaction with healthy foods. Furthermore, these foods can actually make hay fever symptoms worse. This National Allergy Week (23rd - 29th April) Allergy UK is highlighting the true impact hay fever has on the nation. A worrying 15% of sufferers are so affected by their hay fever they are prisoners to pollen and dont like leaving their own house. The research from Allergy UK also revealed more allergy sufferers react to pollen than anything else. But if you seek solace indoors, the home could inadvertently trigger an allergic reaction, with house dust mite being a top three allergen. Pets are a huge catalyst for allergic reactions, with 40% of those with allergies suffering as a result of our four legged friends. While it is commonly assumed it is the hair of the animal that causes a reaction it is actually the dander - particles of skin, saliva and urine invisible to the human eye. Cats are far more allergenic than dogs as their allergen is sticky so stays around for a long time, made worse by the fact they love to self groom. But pollen can also cause problems in the home as carpets can harbour pollen for up to three months. According to the survey, medication is the number five allergen in the UK. Lindsey McManus, Allergy UK continues: Not all reactions experienced when taking medication are truly allergic; however there is growing concern at the increasing numbers of people who are suffering severe allergic reactions to prescribed and over the counter drugs. The impact on everyday life is evident; 46% of all allergy sufferers are constantly on their guard, saying they exercise extra caution when out and about. 40% choose not to go to places where they could come into contact with the allergen they react to and nearly half of all sufferers (46%) use medication regularly. Allergy UK is the leading national medical charity providing advice, information and support to people with allergies, food intolerance and chemical sensitivity. Allergy UK acts as the 'voice' of allergy sufferers, representing the views and needs of those affected by this multi organ disease. 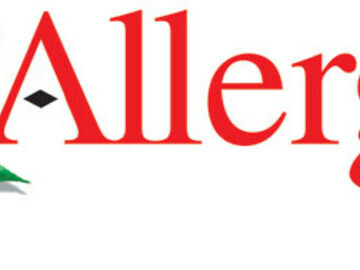 Allergy UK makes a difference through a dedicated helpline and network for sufferers. The charity provides invaluable information and guidance to empower sufferers so that they can manage their symptoms and receive appropriate diagnosis and treatment. This National Allergy Week, Allergy UK is encouraging everyone to get involved to show their support. Fundraising events will be taking place throughout the week. Through Allergy UKs helpline 01322 619898 and website: www.allergyuk.org, people are able to receive individual advice and download fact sheets on all aspects of allergy. Jazz Singer, Claudia Morris knows all too well what it's like to parent a child with severe allergies. To support National Allergy Week, Claudia has released a new single entitled Light Up My Life with 20p from each single donated directly to Allergy UK. Watch the video now and download the single from iTunes or Amazon. Allergy UK is the operational name of the British Allergy Foundation; the leading national medical charity providing advice, information and support to people with allergies, food intolerance and chemical sensitivity. Allergy UK acts as the 'voice' of allergy sufferers, representing the views and needs of those affected by this multi organ disease. * For more information regarding media usage, ownership and rights please contact Allergy UK.